A puppy is a joyful thing, but training one can be frustrating. Help your new pet — and yourself — through the growing pains with these essential tips. Who doesn’t love a new puppy? Fun, soft and adorable, a puppy can instantly bring smiles to our faces. Until, of course, that first squat and pee on the rug. Uh-oh — we’ve got some training to do. But it’s not all just teaching commands. Helping your puppy get the hang of how things go in your household can create a beautiful and trusting bond between you both. You can’t change the rules midway through a puppy’s training or growth without expecting confusion. He’s learning his behaviors from you, but if your training or expectations change dramatically, he won’t do well. As a pet sitter who sometimes has other people’s dogs in my home, I can tell you from experience that this is the case. My rule: No dogs in the bed (I’m not mean — I just have a small bed). However, when I have clients’ dogs who stay over and who are allowed in bed at home, we often have a little dominance struggle. Decide what your rules are and be consistent — it’s as simple as that. Training a puppy is frustrating. However, when you lose your temper, he won’t know why — all he knows is you’re yelling and your body language is angry. If you’re working on potty training, these negative reactions may actually cause just what you’re trying to avoid — submissive urination. Dogs respond much better to calm, patient commands and body language than they do to scolding. If you start to lose your cool in a training session, take a break. Get your emotions under control so your pup can effectively learn right from wrong. Playtime is super important — in fact, your puppy should see how you play. This way, he can get the hang of it and join you in unabashed fun. Find it: Hide a toy or a treat and tell Banjo to, well, find it. Digging: Designating a special area for this can help curb problematic digging. 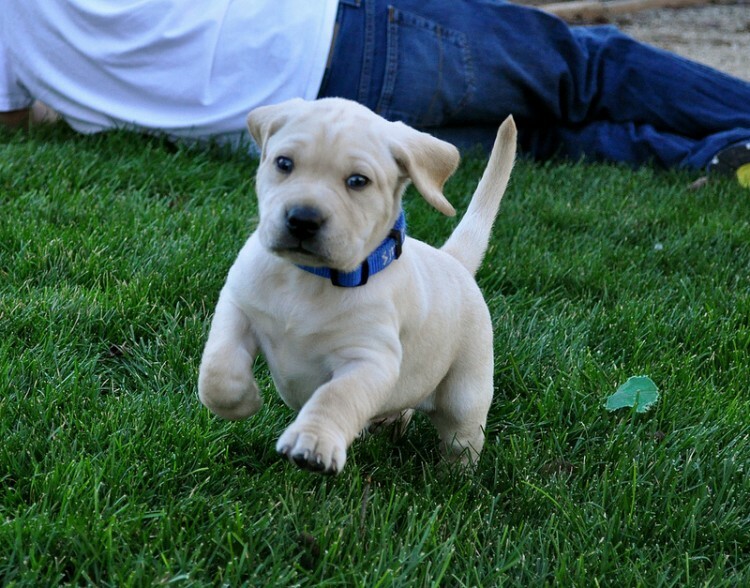 Running or chasing: Try it so your pup is both being chased and can chase you. Monkey in the Middle: Enlist a friend or family member to play a round of catch with a toy while Bella tries to intercept it. These activities include an important benefit: bonding time. Spending time with your puppy doing things that you both find fun gets some extra training time in while deepening the trust between you. One other great benefit to playtime is physical exercise. Dogs — especially the high-energy breeds — need to expel their energy somehow. Otherwise, they can become destructive or overweight. Looking for a way for you and your puppy to get healthy together? The FitBark 2 monitors activity levels, quality of sleep, distance traveled, calories burned, and overall health and behavior 24/7. Battery life is an unbelievable 6 months, so you can worry less about recharging and more about bonding with your puppy. It fits dogs of any size, and it loves the water as much as your dog does! We tend to attribute human traits to our dogs. It’s natural to think your puppy feels guilty when you come home to a capsized trashcan because you would feel guilty, right? But your puppy isn’t reacting to the situation — he’s reacting to your body language and tone of voice. 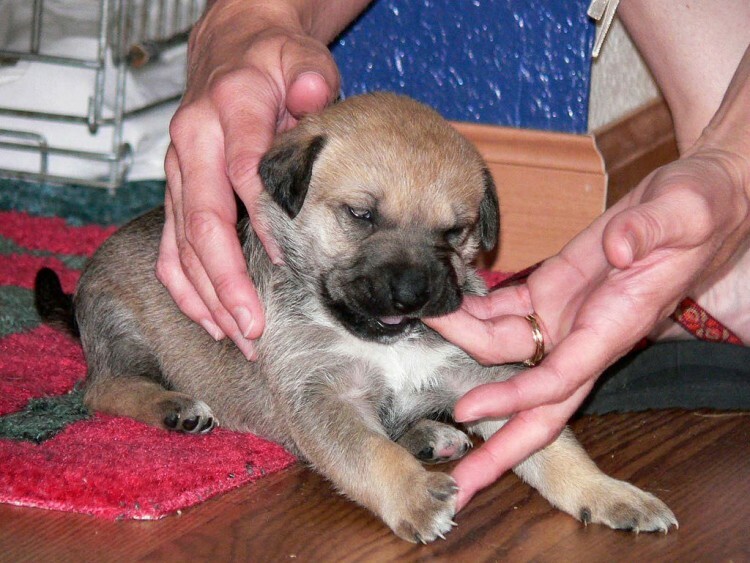 So during your puppy training, remember: Be patient, watch your body language, be consistent and play! You’ll soon have a well-trained best friend who has bonded to you and trusts you absolutely.